The traditional uses of honey in healthcare stretch back into antiquity. Its value, beyond a sweetener, is being rediscovered. The ancients of Vedic civilization considered honey one of nature's most remarkable gifts to mankind. Modern research indicates this substance does possess unique nutritional and medicinal properties. This article is a historical review of how the ancient physicians used honey, and for what purposes. It is not meant to diagnose or treat any disease. The sugars in honey are glucose, fructose and sucrose. Glucose is the simplest of the sugars. It occurs in the blood of live animals, in fruit and vegetable juices. It restores the oxygen that is replaced by lactic acid when fatigue sets in. Fructose, which is also known as levulose or grape sugar, crystallizes more easily than glucose and builds up tissues. Sucrose is a combination of glucose and fructose. Dextrin, which is a gummy substance, is found in small amounts in honey, but it makes honey so digestible. The latest research indicates that the pollen in honey contains all 22 amino acids, 28 minerals, 11 enzymes, 14 fatty acids and 11 carbohydrates. Unfortunately much of these nutritive qualities are lost by heating the honey for commercial use. Honey is one of the finest sources of heat and energy. Energy is generated mainly by the carbohydrate foods, and honey is one of the most easily digested forms of carbohydrats. It enters directly into the bloodstream because of its dextrin content, and this provides almost instantaneous energy. Traditionally, according to the texts of ayurveda, honey is a boon to those with weak digestion. The texts state that all the organs in the body respond favorably when honey is eaten. Honey is considered as an all-purpose medicine for all types of diseases. The texts also state that a spoon of fresh honey, mixed with the juice of half a lemon in a glass of lukewarm water and taken first thing in the morning, is an effective remedy for constipation and hyperacidity. Fasting on this honey-lemon juice water is highly beneficial in the treatment of obesity without loss of energy and appetite. Honey is easily digested and assimilated; it is the best sweet food, as it does not cause flatulence and can prevent it to a certain extent, promoting the activity of the bowels. It can be easily added to the five meals a day, and the texts of ayurveda recommended it in cases of arteriosclerosis and weak hearts. As it would be unwise to leave such a hard-working organ as the heart without food over the long hours of the night, the ancient texts recommend taking, before going to bed, a glass of water with honey and lemon juice in it, and also to take it when awakening at night. Traditional ayurvedic experts recommend honey for cardiac pain and palpitation of the heart. Honey is remarkable in building hemoglobin in the body, which is largely due to the iron, copper and manganese contained in it. The ancient texts declare it beneficial in the treatment of anemia, as it helps maintain the right balance of hemoglobin and red blood corpuscles. Ancient ayurvedic experts regarded honey as highly beneficial in the support of lung health and treatment of all imbalances of the lungs. The texts of ayurveda state that if a jug of honey is held under the nose of an asthma patient and he inhales the air that comes into contact with the honey, he starts breathing easier and deeper. The effects last for about an hour or so. This is because honey contains a mixture of "higher" alcohols and ethereal oil, and the vapors given off by them are soothing and beneficial to the asthma patients, according to ayurveda. It usually brings relief, whether the air flowing over the honey is inhaled or whether it is eaten or taken either in milk or water. Some ayurvedic experts recommend one-year-old honey for respiratory diseases. The texts of ayurveda also describe how honey applied externally is considered useful in the treatment of wounds and sores. Honey, they state, soothes pain, acts as an antiseptic, hastens healing and is especially effective in curing burns and carbuncles. Chlorophytum tuberosum is a species of flowering plant, one of several species known by the common name musli. It is native to parts of Africa and India. 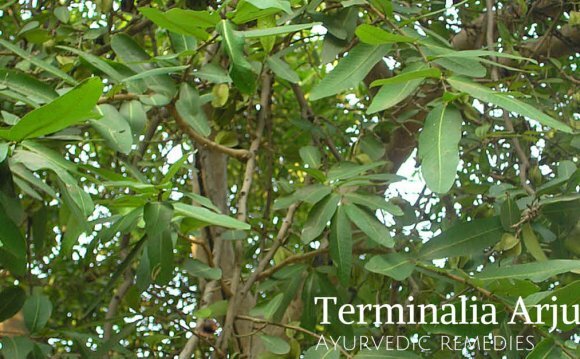 It has historical uses in Ayurveda.